Dr. Mauro C. Romita, a Board Certified Plastic Surgeon with over twenty years' experience in the field of aesthetic and reconstructive plastic surgery joins the show. Mauro C. Romita, MD is a Board Certified Plastic Surgeon with over twenty years' experience in the field of aesthetic and reconstructive plastic surgery of the face, breast and body, micro and cranio-facial surgery. Dr. Romita is known for the technical skill, training, and integrity that he brings to his patients and in his surgical practice. Following graduation from the University of Miami School of Medicine, Dr. Romita began his residency training at New York University Medical Center. He completed a comprehensive eight-year program in June of 1981, which included postgraduate fellowships in microsurgery and crainiofacial surgery. Dr. Romita is certifed by the American Boards of General Surgery and Plastic Surgery. Dr. Romita is a member of the American Society of Plastic Surgeons and numerous professional societies. He is also an Assistant Professor of Surgery at New York Medical College. Conveniently located on New York's exclusive Fifth Avenue, Dr. Romita's state-of-the-art surgical suite is a safe alternative to a hospital setting for most aesthetic procedures. More extensive surgery may also be performed at New York Eye and Ear Infirmary, St. Vincent's Hospital and Medical Center and New York Medical Center in Queens. 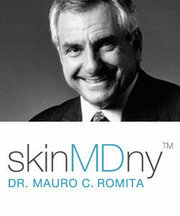 Dr. Romita has helped pioneer a unique approach to reversing the aging process through keen appreciation of the synergy among medical disciplines. The guiding force of his approach is a concept called "sequential intervention," whereby the early signs of aging are corrected with less invasive techniques for as long as possible. Progressively more complex surgical enhancements are introduced only when they are necessary and when the benefits can be maximized. According to Dr. Romita, "The goal of modern plastic surgery is to preserve a youthful appearance when possible and restore only when necessary to achieve a natural-looking, harmonious result." Dr. Romita has published numerous papers in the field of Reconstructive Microsurgery and Trauma. He has been named one of New York Magazine's "Best Doctors in New York" and is listed in Castle Connolly Medical's 1999 edition of "How to Find the Best Doctors In the New York Metro Area". Three of the BIGGEST mistakes patients make with plastic surgery and how you can advise them of their options. CHOOSING YOUR SURGEON SOLELY ON PRICE. NOT KNOWING WHERE TO START LOOKING.